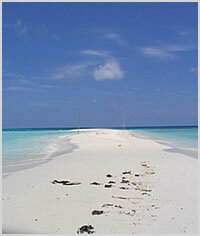 Tubbataha Reef is situated almost in the middle of The Sulu Sea with the islands of Palawan to the west and Panay, Negros and Mindanao to the east. 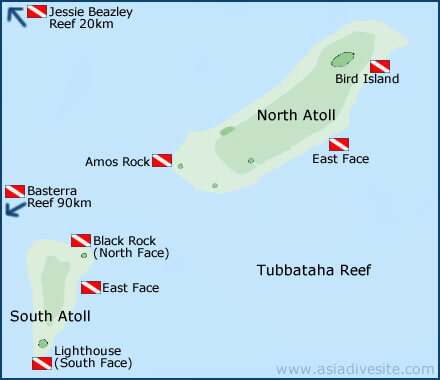 The 33,200 hectare site was declared a National Marine Park in 1988 and a World Heritage Site in 1994. Thanks to local efforts, illegal fishing and coral collection have been stamped out and the gradual destruction that was taking place before 1988 has been halted and the reef is now back in pristine condition. The diving here is considered some of the best in the world. The reef lies 182 km southeast of Puerto Princesa, the capital of Palawan Island and it is only reachable by live-aboard boats which can be found in Puerto Princesa itself. 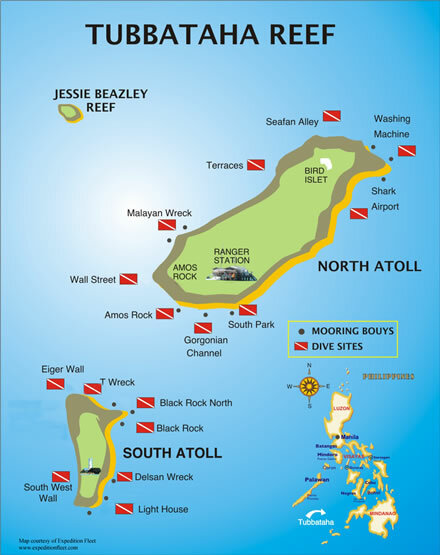 Despite its inaccessability, the reef is now extremely popular with adventurous divers, so early booking of a live-aboard vessel is advised to avoid disappointment. NOTE : the season here is from the end of March to June. The live-aboard boats must use the moorings or cruise. They may not anchor, so when seas are rough, it's almost impossible to moor. Smaller live-aboard vessels can get uncomfortable in choppy conditions. As the walls rise from great depths, currents can be strong and changeable so there is a lot of drift diving. Night diving is possible, but only if there is no current.